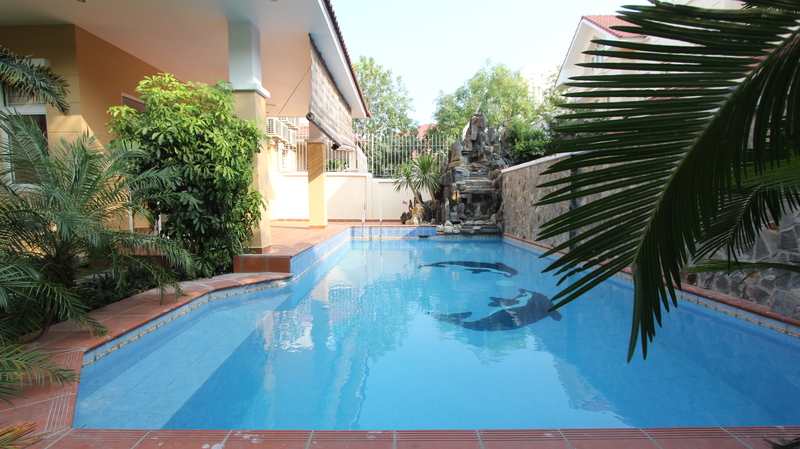 This Fantastic District 2 Private Villa for Rent is in a tranquil locale ideal for an expatriate or a large family. 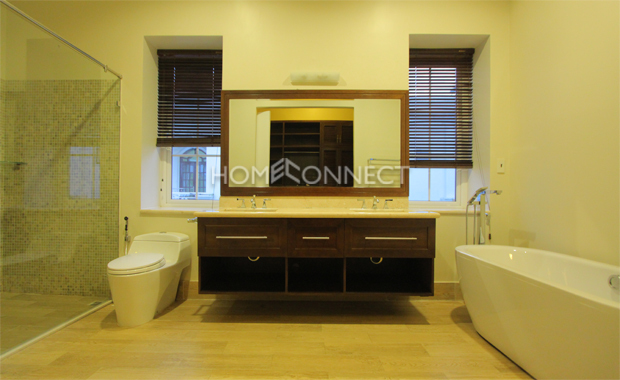 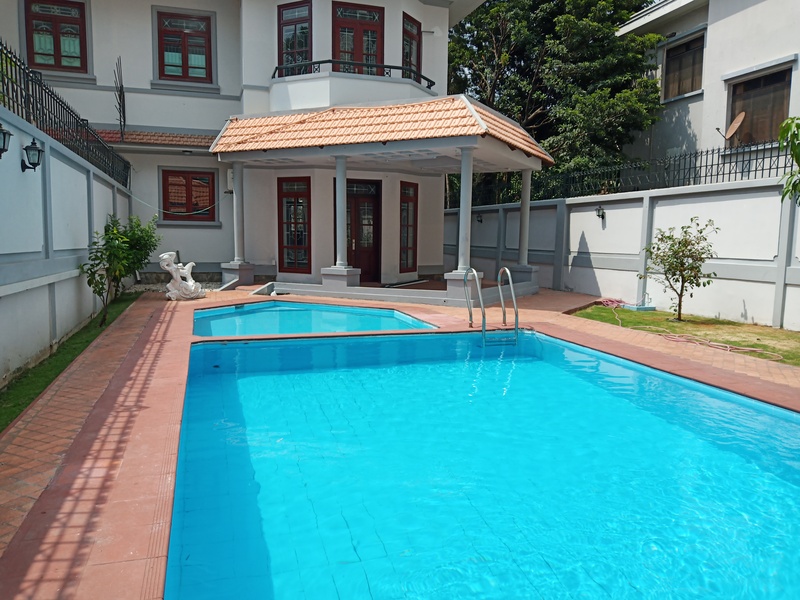 Spanning 700 square meters, this expansive three-storey single house hold contains four bedrooms and four bathrooms with a private swimming pool. 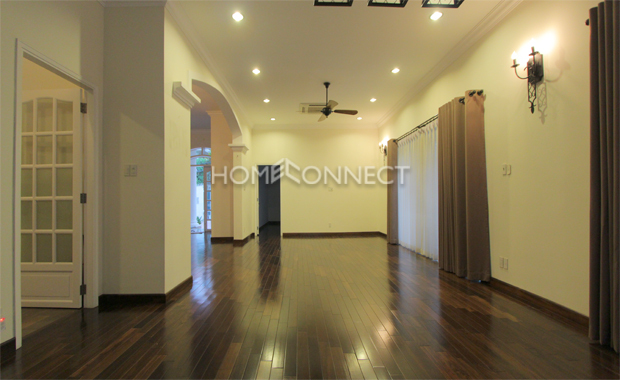 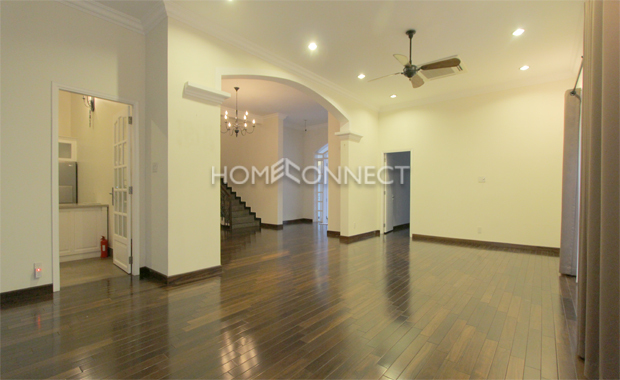 Beautifully polished wood floors and high ceilings give this residence an expansive feel. 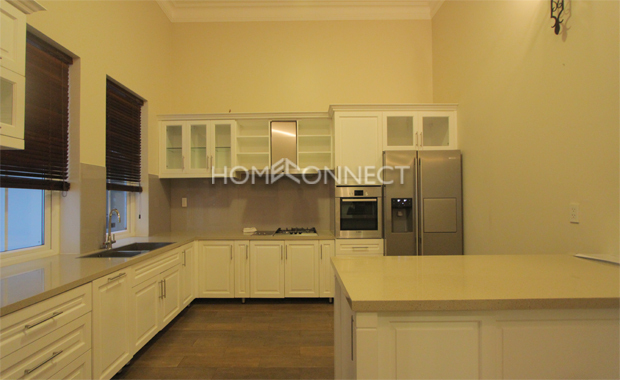 Full length glass windows allow full spectrum of natural light in the living room while the kitchen is equipped with a family-sized refrigerator, a double-basin sink, cupboards, pull-out drawers, cabinets, cooking range with hood, and plenty of counter space. 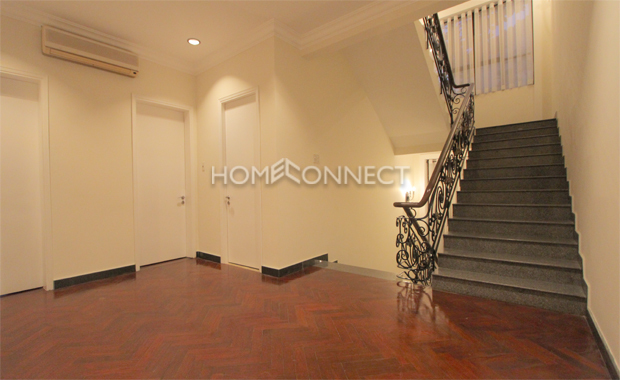 A stairway to the upper levels leads to the bedrooms which have air conditioning systems and ceiling fans while the bathrooms are fitted with en suite showers, vanity sinks, and bathtubs. 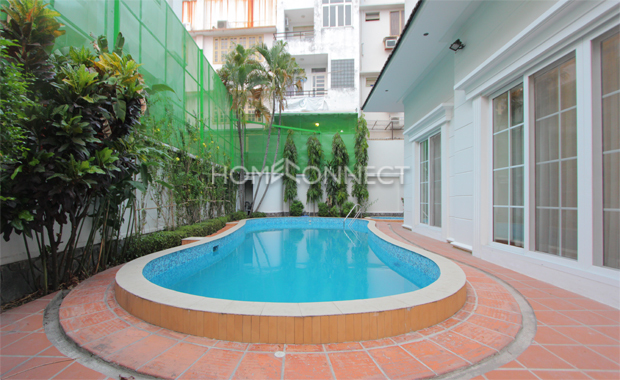 Facilities in this home include a swimming pool, covered car parking, garden, terrace, laundry and storage room. 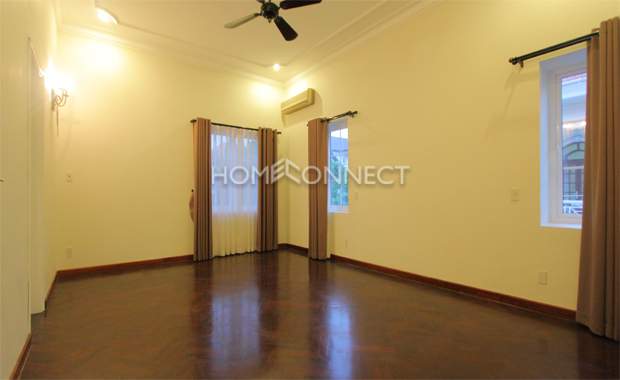 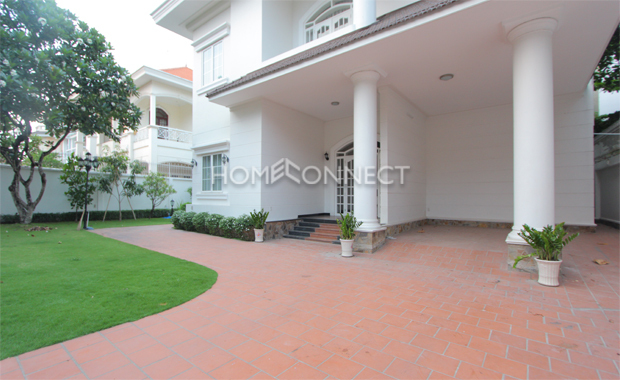 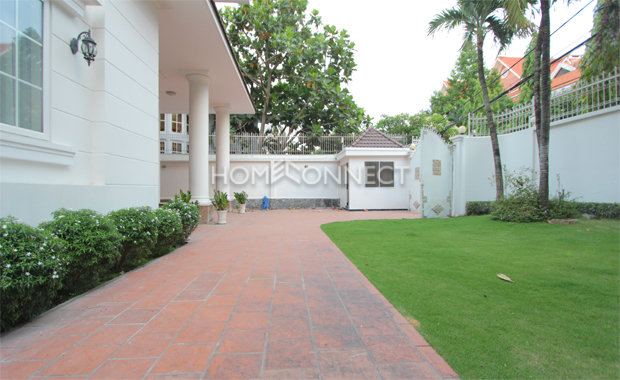 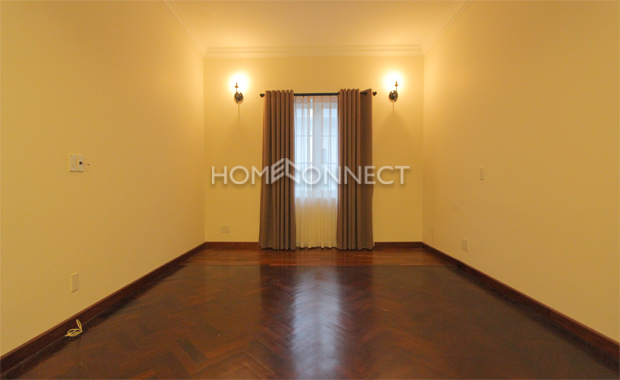 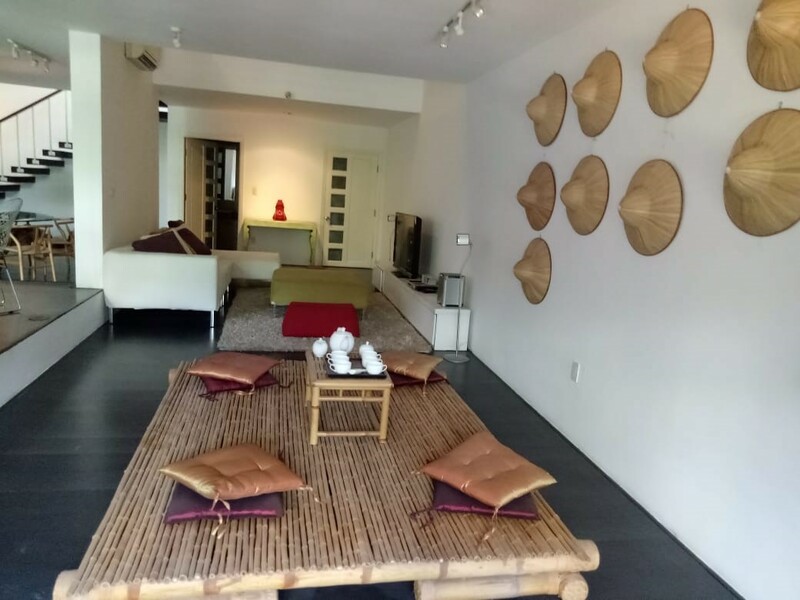 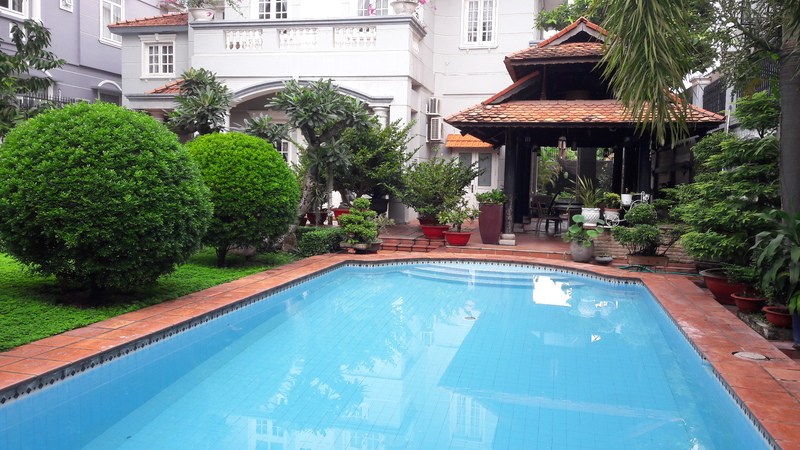 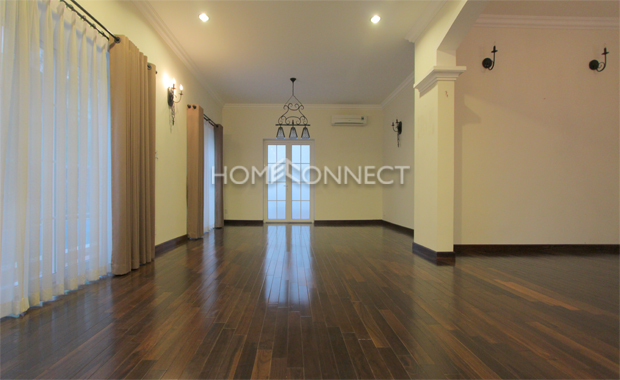 Location of this villa is only few minutes away Thao Dien Village, Metro Cash& Carry, An Nam Gourmet, international schools, spas, fitness clubs, retail shops, local/ international cuisines and 15 minutes drive to the Central Business District.